Stephanie Jansen is an associate in our litigation group, practicing solely in the area of family law. She completed her Juris Doctor in 2014 at the College of Law at the University of Saskatchewan. Stephanie has experience in both Provincial Court and Queen’s Bench Family Chambers, dealing with issues such as Divorce, Custody, Division of Property, Child Support, Spousal Support, Restraining Orders, and Emergency Protection Orders. She also has a strong practice in drafting both prenuptial and separation agreements. With a strong focus on ensuring that her clients understand the legal process as it unfolds, Stephanie has always been an advocate of providing plain language explanations of the various legal complexities her clients will face. She recognizes the stress that accompanies most matters in family law and works hard to create strong relationships with her clients. 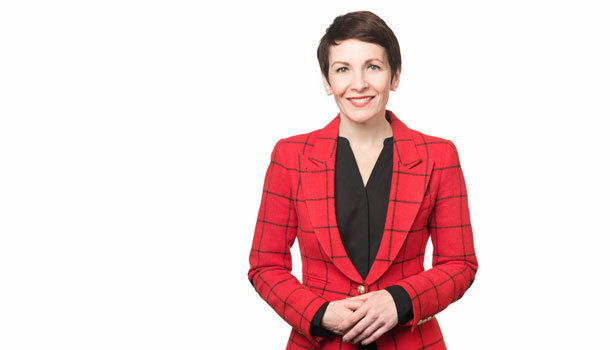 Stephanie has written for several publications, including "Canadian Lawyer Magazine" and "Law Now". In law school, she volunteered with Pro Bono Students Canada and worked for Student Legal Services in the Civil Division. Every month, Stephanie runs a legal clinic in Family Law at the Edmonton Women's Institution. Stephanie has been a board member on the Mayor's Task Force to Eliminate Poverty, The Victoria Arts Foundation, and most recently is a board member of the Brian Webb Dance Company. Stephanie has two grown daughters whom she has traveled extensively with, visiting over 25 countries together in total. The firm is pleased to welcome Stephanie Jansen to our team as an associate in the Family Law Group. She has experience in both Provincial Court and Queen’s Bench Family Chambers, dealing with issues such as Divorce, Custody, Division of Property, Child Support, Spousal Support, Restraining Orders, and Emergency Protection Orders. She also has a strong practice in drafting both prenuptial and separation agreements. She has always been a strong advocate of providing plain language explanations of the various legal complexities her clients will face. She recognizes the stress that accompanies most matters in family law and works hard to create strong relationships with her clients. She has written for several publications and is involved in monthly legal clinics at the Edmonton Institution for Women. Please join us in welcoming Stephanie to Duncan Craig LLP.